The private event spaces at Nico Osteria encompass three floors, each with their own unique look and feel. Bold interior design, rich décor accents and innovative menus come together to create a luxurious private dining experience. Guests overlook the heart of Chicago’s Gold Coast neighborhood while enjoying Nico Osteria’s Italian fare in an intimate and inviting environment. Whether you are looking for an intimate business meeting or a celebratory cocktail reception, our events team is always happy to accommodate your needs. For more information, view our Private Events Guide here. 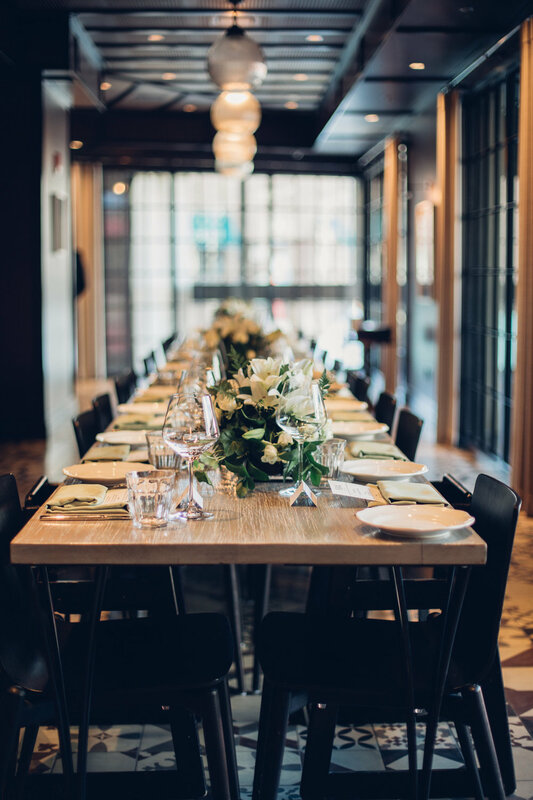 To connect with a member of our Private Events Team, call us at 312.994.7103 or submit an inquiry below. An extension of the main dining room, Nico’s second floor private event space features the understated elegance of our Reserve Bar, a semi-private bar and lounge, in addition to three private dining rooms: Fellini, Factory, and Chelsea. The Fellini, Factory, and Chelsea rooms are independent spaces that can be combined for larger events. The Reserve Bar is a perfect cocktail reception setting, overlooking the Nico Salone and its botanical living wall. The lush, mid-century aesthetic provides a unique canvas for parties of up to 80 guests for a seated dinner. Named for the outspoken leaders of the historical Chicago Seven, Thompson Chicago’s third floor event space consists of the Davis, Dellinger and Hayden rooms. A spacious pre-function event space awaits outside the Chicago Seven rooms, and can be used for receptions and corporate gatherings alike. Our Chicago Seven rooms offer a modern, yet luxurious feel in an intimate combination of spaces. Meanwhile, floor-to-ceiling windows feature unparalleled views of the city below. Elegant décor accents highlight the space, enriching any event experience. 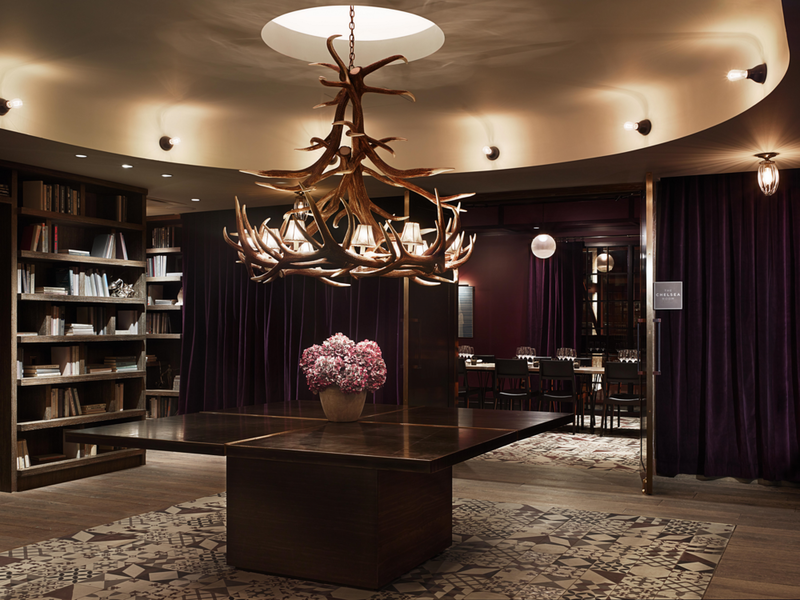 The Chicago Seven collection of rooms can accommodate up to 200 guests, seated at round tables. An extension of Thompson Chicago’s third floor, the fourth floor is composed of the Hoffman, Rubin, Froines and Lee Weiner rooms. Each space captures natural light for daytime events, and offers versatility and flexibility with a wide range of event needs. Spotlight: The Froines room features the iconic arc-shaped floor-to-ceiling window facing north, and opens onto the Fourth floor pre-function event space. The Froines room can accommodate up to 40 guests seated at round tables. For floor plans and more information, please visit the links above. To connect with a member of our private events team, call us at 312-994-7103 or submit and inquiry below.